Dee Rees and Netflix are teaming up again to adapt Joan Didion’s 1996 political novel The Last Thing He Wanted. Rees will direct and co-write the screenplay with Marco Villalobos. Oscar winner Anne Hathaway (Ocean’s 8) is set to star, as per THR. The Last Thing He Wanted is Rees’ second collaboration with Netflix, following last year’s critically acclaimed Mudbound. Rees directed and co-wrote Mudbound with Virgil Williams. 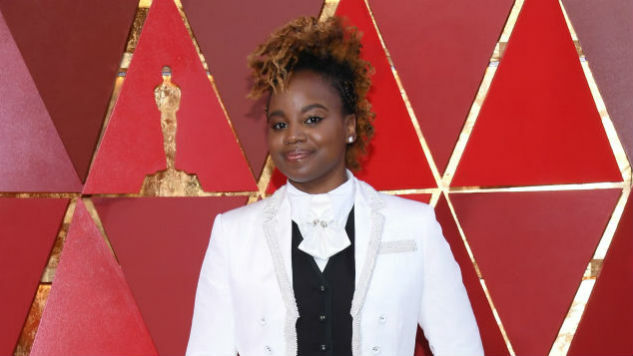 The film, which starred Carey Mulligan, Jason Clarke, Jason Mitchell, Garrett Hedlund and Mary J. Blige, was nominated for four Academy Awards, including Best Adapted Screenplay and Best Supporting Actress for Blige. Didion is arguably more famous for her nonfiction works (Slouching Towards Bethlehem, The Year of Magical Thinking), but over the course of her 55-year career, she has written five fiction novels, including The Last Thing He Wanted. The novel follows Elena McMahon, a reporter who quits her job covering the 1984 presidential election for The Washington Post to care for her ailing father. McMahon believes her father is a dealmaker for the U.S. government, but eventually takes on her father’s role as an arms-dealer in Central America … at the peak of the Iran-Contra Affair. See our take on how Didion predicted the rise of Donald Trump here, and watch the trailer for Netflix’s documentary on the author here. The Last Thing He Wanted is is expected to begin shooting this summer.